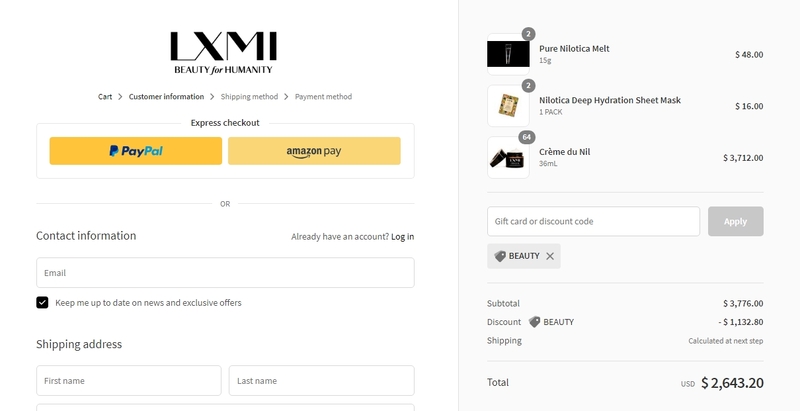 Expires in 1wk . Last validated 1wk ago . Used 3 times. 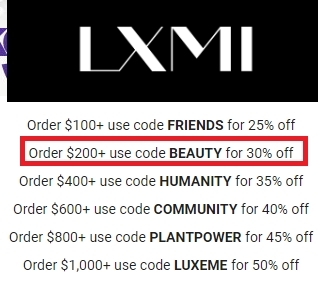 Reina Castrillo This deal works as described, enter the promotion code BEAUTY during checkout to receive 30% Off on Order $200+ at LXMI (Site-Wide).